This new interpretation of a snow globe with natural material will fit in perfectly with both rustic and transitional decor. The flowers and petals are made from white shell that washed ashore on the beaches of the Philippines. The stalk is wrapped with a fast growing plant called abaca. 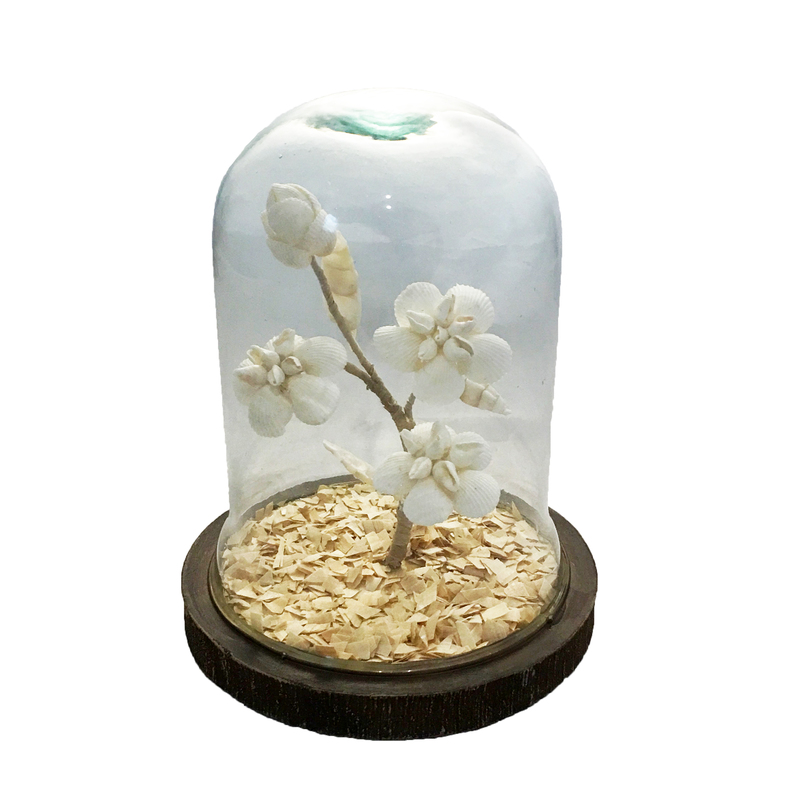 The artist uses natural woodchips to tie in the feel of a snow globe while staying true to natural materials. Finally, the flower and its contents are enclosed in a hand-blown glass globe. Bring in this natural piece with all the intricate detail that only comes from handcrafted art. The glass used in this globe is hand-blown and will have both texture on the outside and bubbles within the glass itself. Abaca is a species of the banana plant which is fast growing and is native to the Philippines. The fiber of the abaca plant has many purposes, one being decorative. The wood composite base is hand-painted to give it a distressed finish.